My first SeatWeavers Guild Annual Gathering was like having a little too much to drink at a party. You meet tons of people, talk about your shared passions, become instant best friends with at least 5 people, but don’t really remember much except that is was the best time ever! 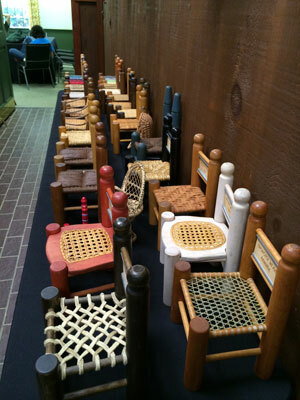 Each paragraph of the Appalachian Chair Caning Tour really deserves its own lengthy blog post, but none more so than The SeatWeavers Guild 2014 Annual Gathering. Its almost time for the 2015 Gathering so I have to keep this brief (ha!). 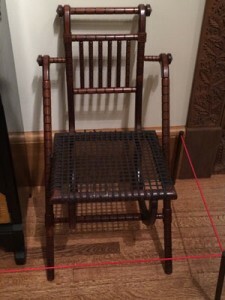 IF YOU ARE EVEN A HINT OF A CHAIR NERD OR WANT TO SUPPORT A SMALL VOLUNTEER-BASED NON-PROFIT TRYING TO PERPETUATE A DYING CRAFT, THIS IS THE PLACE TO SEND YOUR TAX-DEDUCTIBLE DONATIONS. Or just become a member and come to the gathering next year in Asheville! We are hosting it at the Folk Art Center July 29-31, 2016. The conference ended late Sunday afternoon and we needed to rest. We stayed over in Sturbridge, ate some sushi, and napped a bit, but did not swim. Turns out, swimming pools in Massachusetts are really cold. Also slightly unfortunate, is that I have lost most of the photos from this point, on, EXCEPT! 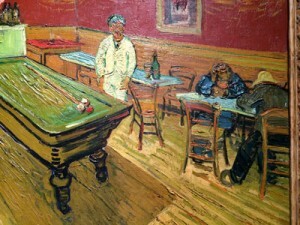 for the Yale University Art Gallery which will be mentioned further down. 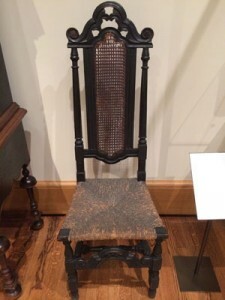 There are a lot of good chair photos (photos allowed at this exhibit), so I will now punctuate my story with really cool chair pictures. 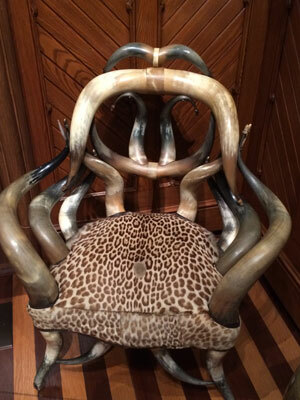 George Hunzinger, the Salvador Dali of chairs. Mid-1800s. 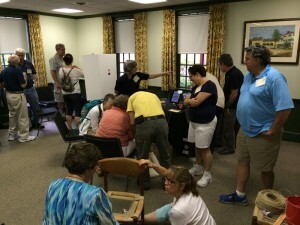 We packed up and planned our unplanned route to points north such as Brattleboro, Vermont and Peterborough, NH. We made it to the coast at Rye, NH and got a room right in time for the bottom to fall out of the sky. Our room was calling us in, in that stinky cozy way that only a room with two cardboard beds that hadn’t been renovated since the 40s can. We slept like logs. Logs with bellies full of butter and crustaceans. It’s hard to be so many cool places in such a short amount of time. I’m already tired just typing this adventure, but it all flowed and wasn’t nearly as exhausting as running a business, and we needed the vacation, and when are we going to be in New England again? So the next day we ventured on to another poignant stop on our pilgrimage….Lowell’s Boat Shop. This place also deserves its own blog post. I discovered it on PBS on the Craft in America series, the first episode I saw featured Lowell’s Boat Shop. It was one of those aha! moments when you realize THAT is what you want to be doing with your life…but with chairs instead of boats. 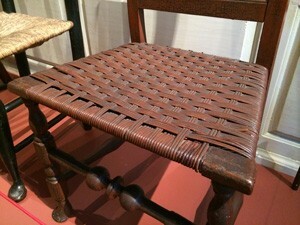 Natural Rush seat with hand woven cane back. 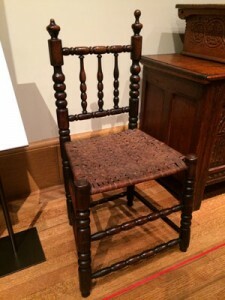 Wishing I had a finance degree from Harvard and a name and/or location for my chair museum and school, we moved on to New Haven, Connecticut and two more essential stops on our New England Chair Caning Tour: Yale University Art Gallery and another infamous chair caning supplier, HH Perkins. Yale University had more exciting chair nerdery (as you may have noticed), not to mention ancient artifacts, gorgeous architecture, and one or two paintings by one or two masters, but what I was most impressed with, was that it was the only museum (or display) I’d seen where a chair caner was credited alongside a chair maker. 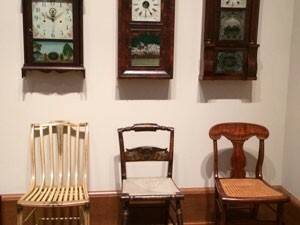 Thanks for that, Yale University Decorative Arts people. You just affirmed our unspoken mission to bring the love of chairs to the masses. Ox horn and ocelot fur chair….speaking of Dali, he had a pet ocelot. We crept through New York City just before rush hour (how bad could it be?) and a year later, here I am, just returned home to write the blog post. Nah, we drove through Delaware, Maryland, and Virginia by sunset with no battery left for photos, crossed the Chesapeake Bay Bridge Tunnel and arrived at Aunt Linda’s house before midnight. 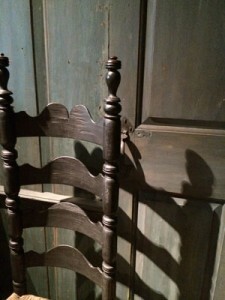 traditionally rush seats were loaded with white lead paint in order to “preserve” the fibers and for easy cleaning. The woman who we have to credit with perpetuating the craft in my family, my aunt Linda is pretty cool. We told her of the nerdy fantastic journey and about our dreams for a chair caning school and museum. She understood how exciting it was to go to Country Seat and HH Perkins. And that is good. 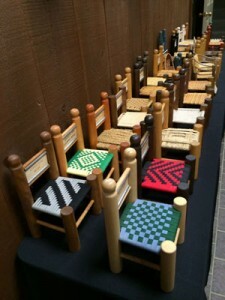 That is what is so cool about the chair nerd community, we may be few in number compared to photographers, or painters (or basketmakers for that matter) but we LOVE CHAIRS and we are compelled to SAVE THE CHAIRS. We cannot stand by the self-fulfilling prophesy that chair caning is a dying art. It isn’t often that a group of 50 chair caners can get together to build these relationships, teach, and share ideas. It is once a year, usually the last weekend of July, first weekend of August! 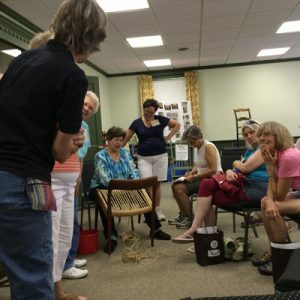 Next week, we embark on the Midwest Chair Caning Tour to Nashville, Indiana. In 2016, we are bringing it to Asheville! Go chair nerds. 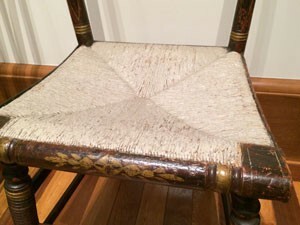 splint chair, nice turnings, notice the wonky finials on the rear posts?